Signed by the authors Harriet McDougal , Alan Romanczuk & Maria Simons. 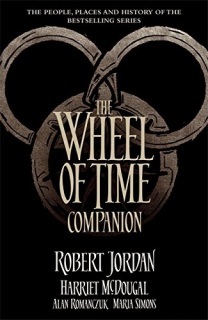 Synopsis : The Wheel of Time Companion: The People, Places and History of the Bestselling Series - Since its debut in 1990, The Wheel of Time® by Robert Jordan has captivated millions of readers around the globe with its scope, originality, and compelling characters. Over the course of fifteen books and millions of words, the world that Jordan created grew in depth and complexity. However, only a fraction of what Jordan imagined ended up on the page, the rest going into his personal files. 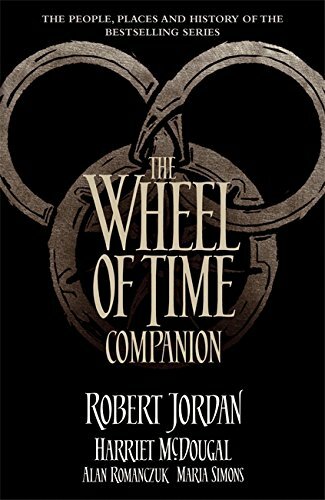 Now The Wheel of Time Companion sheds light on some of the most intriguing aspects of the world, including biographies and motivations of many characters that never made it into the books, but helped bring Jordan's world to life. Included in the volume in an A-to-Z format are: An entry for each named character An inclusive dictionary of the Old Tongue New maps of the Last Battle New portraits of many characters Histories and customs of the nations of the world The strength level of many channelers Descriptions of the flora and fauna unique to the world And much more! The Wheel of Time Companion will be required reading for The Wheel of Time's millions of fans.